Rafting is a sports activity that requires a lot of dedication, patience and the right set of skills. Usually, rafting training courses are available where one can acquire the skills before one steps into the field. If you’re an expert, you must’ve taken part in a few rafting competitions. Whatever the case may be, this sport requires a kind of specialized certificate. If you have a rafting event coming up, you could take a look at some of these certificates here. You can also see Certificate Templates. It comes with stock images which you can choose to retain or remove and add your own. The choice is entirely yours. The rafting certificate template that you see here comes with word compatibility. It is also 100 % editable and customization. The template comes with easy customization of text and color. 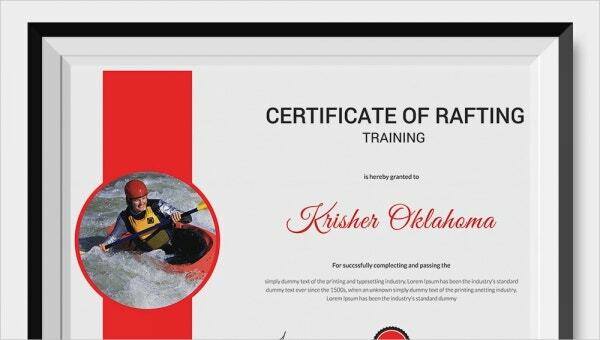 The rafting certificate here comes with CMYK color mode and a fairly high resolution of 300 dpi. The template offers easy customization of text and color. It also comes in a standard size. 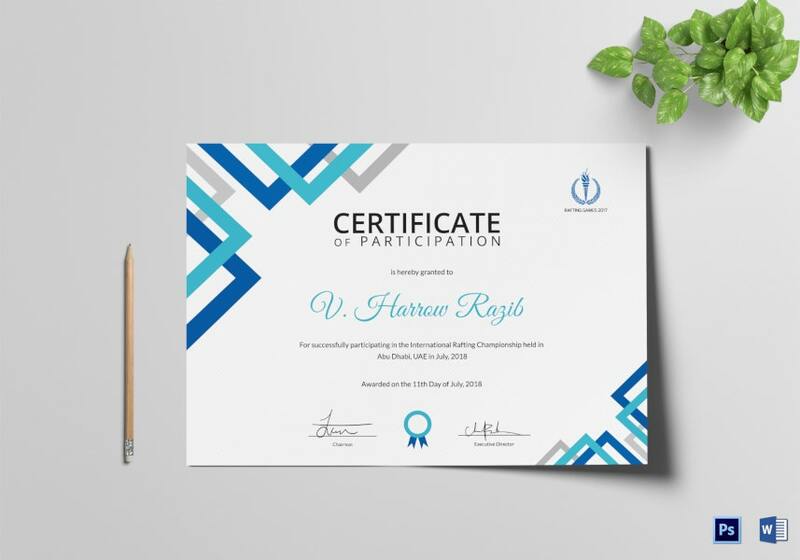 This certificate of rafting comes with a beautiful blue design near the borders. Apart from that, the template has been kept extremely simple and minimalist. Also, it is compatible with word. The certificate template you see here comes in a standard size and gives you allowance for bleed. Also, it comes with PSD and Word compatibility and that makes the template exceptionally easy to use. > Why should you go for Rafting Certificates? These rafting templates already come with a standard format. You can just download one, edit minute details and be on your way. That means, you wouldn’t have to worry about making errors with the layout either. There can be different kinds of rafting events. 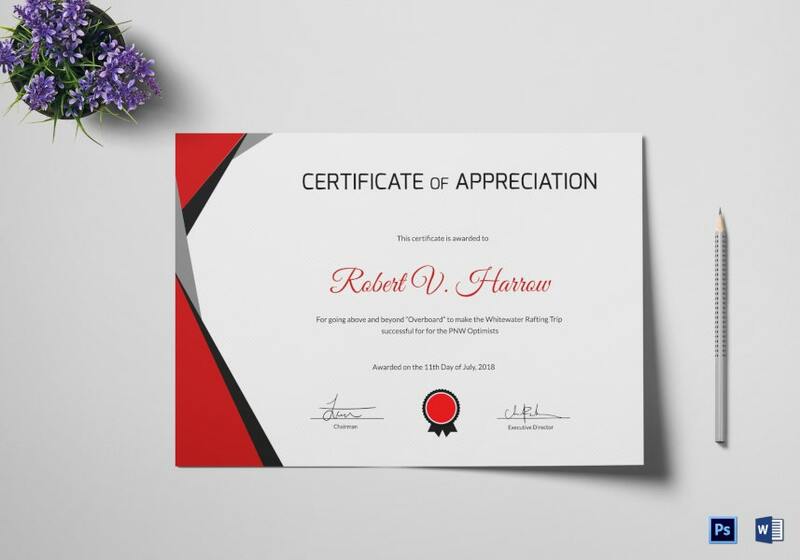 Based on the kind of event, you will find a wide range of certificates that you can choose from. You can also see Sports Achievement Certificate. Also, the templates are 100 % editable and customisable as well. > How can you use the Rafting Certificates? 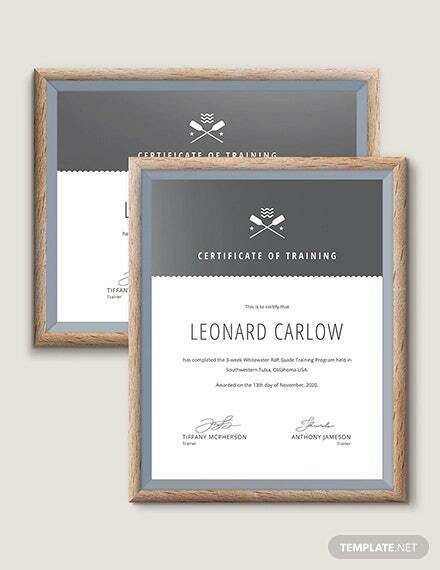 The rafting certificates that you see here are versatile, flexible and multipurpose. There are different ways in which you can use the certificates. For example, you can use them as certificates of excellence. 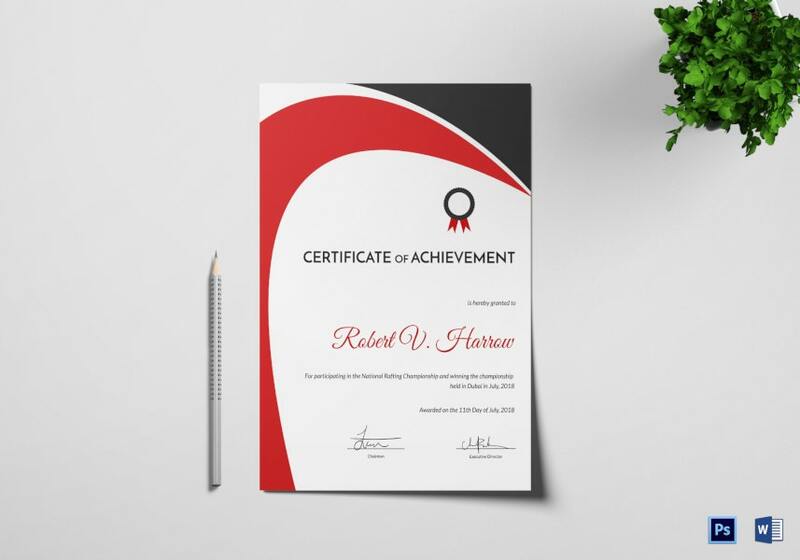 That means, anyone who has had a remarkable achievement or has shown excellence in the field would be given such a certificate. 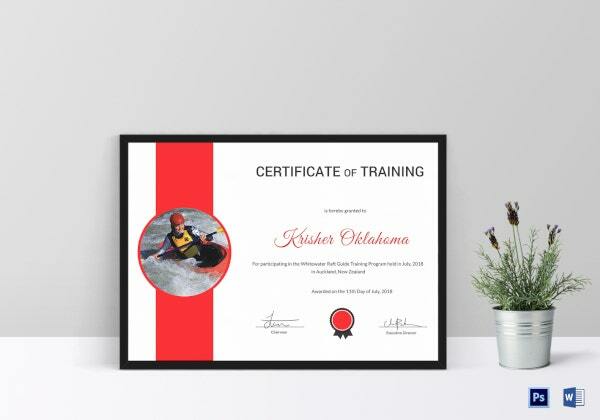 There are also certificates of participation reserved for ordinary participants in a rafting competition who haven’t managed to procure a position. There are also training certificates which certify the recipient as a trained rafter. Thus, you can use the templates in myriad ways here – it all depends on your requirements and your purpose. The rafting certificates that you see here have been designed by the pros especially for you. 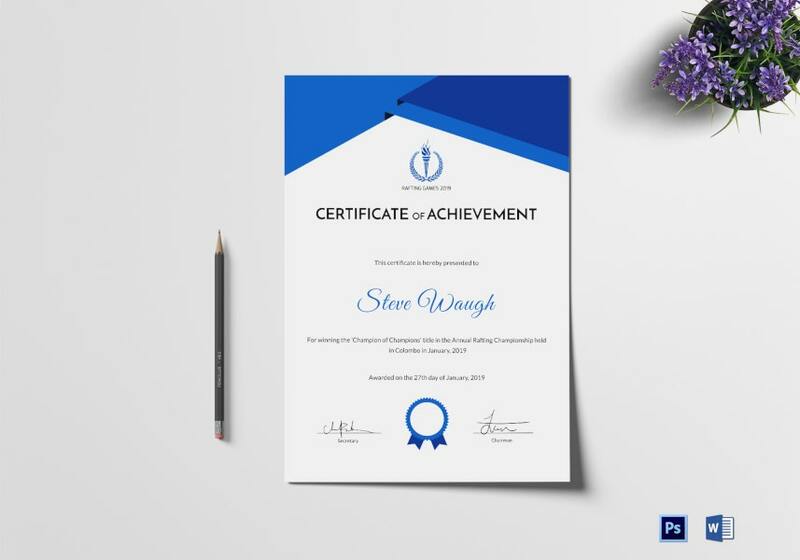 All you have to do is go through the certificates, choose the one that catches your eye, download it, edit or personalize it and then print it. It really is as simple as that!